A family united. 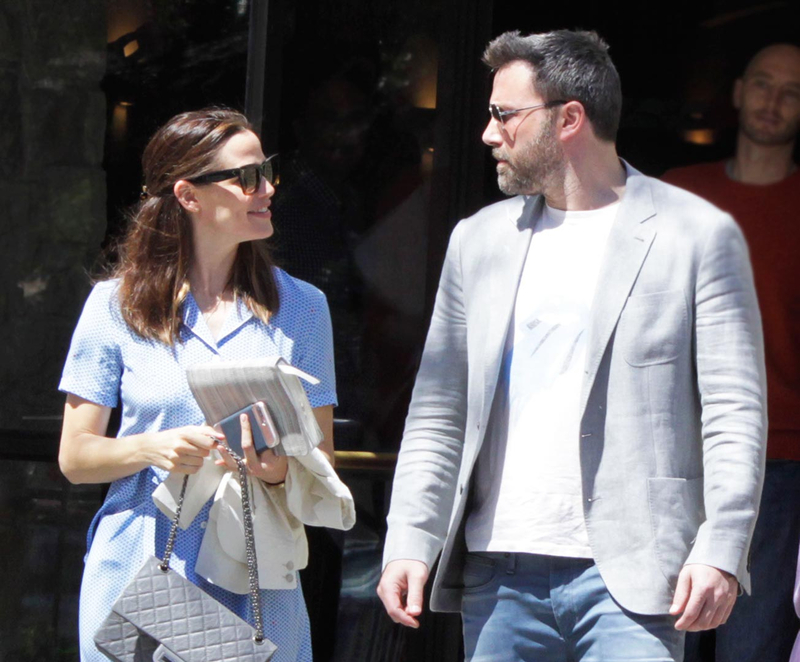 Ben Affleck and Jennifer Garner attended Easter church services together with their kids on Sunday, April 16, just three days after filing for divorce. The friendly exes were seen smiling and chatting as they left church on Sunday morning in Los Angeles — it was the first time they have been spotted together since Garner, 44, filed for divorce on Thursday, April 13. The Batman actor lodged his response the same day, suggesting a coordinated move to end their marriage amicably. The pair, who were married for 10 years and announced their split in June 2015, are both seeking joint legal and physical custody of their three children — Violet, 11, Seraphina, 8, and Samuel, 5 — and are negotiating a financial settlement. The Argo director, 44, has been living in a guesthouse on the couple’s Pacific Palisades, California, property since they announced their separation two years ago, but as Us Weekly previously reported, he is ready to take the next step and relocate to a home of his own. The divorce filing comes less than a month after Affleck revealed in a candid Facebook post that he had sought treatment in rehab for alcohol addiction.